I think many people are often wrong, but never in doubt. To paraphrase Isaac Asimov, a democracy doesn’t mean that Person A’s ignorance equals Person B’s knowledge. Just because we live in a democracy and have freedom of speech doesn’t mean that uninformed opinion has value. I believe that communication is like currency and that our communication currency is finite. Wasting it commenting on topics we don’t understand or don’t know means we have less to spend on other topics or, in other words, such waste is analogous to devaluing one’s communication currency. Don’t be often wrong, but never in doubt. It’s OK to admit you don’t know something and not to offer commentary on something about which you know nothing or next to nothing. This is the 55th anniversary of the assassination of John Kennedy. I was less than four years old at the time, but remember the day. Perhaps I will tell that story at length some other time. Do I have a theory as to “who done it?” Yes, but I’ll save that for later as well. Yesterday my wonderful wife and I took a long drive to the Classic Auto Mall in Morgantown, PA. It is literally a former shopping mall (with an area of 336,000 square feet) that has been turned into a place to show and to sell cars. I really think they should charge admission; if you’re anywhere near here (Exit 298 on the Pennsylvania Turnpike) and you’re into cars you should stop by. This car gave me goosebumps and almost moved me to tears. (Hey, I’m a mess. What can I say?) 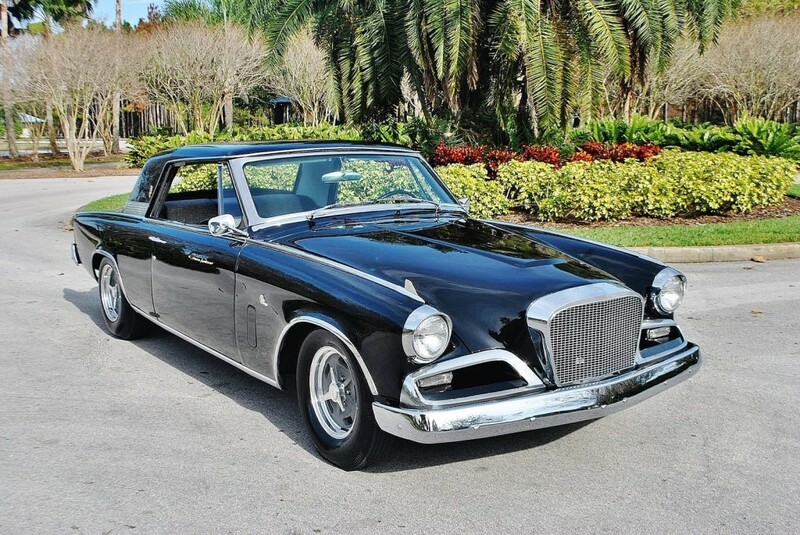 This is a 1962 Studebaker GT Hawk. It looks like an original, unrestored car. As I wrote in this post a small part of me wants to use a GT Hawk as the basis for a restomod instead of a C2 Corvette. This is a 1940 LaSalle convertible. The LaSalle gained some notoriety long after it ceased to be as it was mentioned in the song used in the introduction to each episode of All In The Family. (“Gee, our old LaSalle ran great.”) This was the last model year of Cadillac’s companion make. The LaSalle was also the car that was Harley Earl’s first contribution (of many) to General Motors. Notice that the LaSalle is parked next to a Bradley GT kit car. The eclectic nature of the auto collection here is wonderful. This is a 1985 TVR Tasmin. TVR cars are not common in the US. I believe these cars were assembled with internals from other companies and given a sleek exterior, which is the only thing unique about them. I think later TVR models like the Cerbera did have an engine developed by TVR. According to the sticker on the car this is a 2008 Alfa Romeo 8C. Only 500 8C coupes and 500 8C spiders (convertibles) were produced. Rumor is that Alfa will bring back the legendary 8C name to replace the current 4C model. The 8C of this vintage was powered by a Ferrari 4.7 liter (286 cubic inches; Happy Thanksgiving, Bill Stephens!) V-8 that produced 444 HP/347 LB-FT of torque. In person it is quite a stunning car. I suspect I will return to the Classic Auto Mall in Morgantown, PA. I have mentioned Bring a Trailer before. It is a website where people buy and sell cars online via auction. The consignor pays just $99 and the buyer pays just five percent commission, which is capped at $5,000. You don’t think that matters? A VERY rare Lancia Stratos sold on Bring a Trailer for over $440,000 meaning the buyer saved almost $40,000 in commission compared to the standard fee of ten percent uncapped at most brick and mortar auctions. To my surprise and delight Bring a Trailer currently has not one, but two Studebaker GT Hawks for sale. The GT Hawk was Brooks Stevens’ masterful redesign of the Hawk on a budget. From Bring a Trailer here are pictures of the two GT Hawks currently available via auction. The top one is a 1963 model while the bottom one is from 1964, the last year of the GT Hawk. 1962 was the first model year for the Gran Turismo (or GT) Hawk. The current bid on the ’63 is $3,600 with three days left and the bid on the ’64 is $7,000 with five days left. Buying a collector car doesn’t have to be expensive, even for a car as rare as the GT Hawk of which only about 14,000 were made. Anyone else a fan of the GT Hawk? I wonder if any will be available when my wonderful wife, her parents and I go to Scottsdale, Arizona for the Barrett-Jackson auction in January. No, I don’t think I’ll buy one, but who knows? Stranger things have happened and consider the source. If you’re here after clicking on a link at the Studebaker Drivers Club, welcome. Please bookmark the blog URL (https://disaffectedmusings.com) and return often. Thanks. That’s a picture from our garage. Of course, the signs are not originals. Original signs like these in good condition are not cheap. Why am I obsessed with cars in general and defunct American makes in particular? The simple answer is I don’t really know. My father was a mechanic who operated his own gas/service station. (Flying A and Amoco!) Therefore, I grew up around automobiles. Before I discovered sports or girls or music, I kept one of those hard back notebooks with the funky black and white covers (composition notebook?) filled with notes about cars. I wish I still had that today. Take a guess which direction I chose…a picture I took of a Studebaker GT Hawk at a local auto show last year. This show, which is an annual event, had more than 600 vehicles on display and is my favorite car show of the year. Any car that is at least 25 years old can be displayed and the cars go back to the turn of the last century. How many of you reading this have any familiarity with Studebaker? My wonderful wife’s father owned one when he was in his 20s. Most accounts I have read of the demise of Studebaker identify the causes as: the GM-Ford price/output war of the early 1950s that put great pressure on all of the independent (non Big Three) automobile companies, Studebaker management/Studebaker unions allowing/forcing per unit labor costs to be non-competitive and Studebaker management screwing up the 1953-54 cars by bodging the design of the sedans and underestimating the demand for the coupes. Whatever the reasons, Studebaker production declined from about 321,000 in 1950 to about 60,000 in 1961, a drop of 81 percent. In December of 1963 Studebaker ended all automobile production in the US, closing its plant in South Bend, Indiana. The company manufactured a small volume of cars until March of 1966 at its plant in Hamilton, Ontario. I love this logo, which was Studebaker’s logo for its last 10-12 years as an automaker. I’ll have to find one in three dimensions somewhere. Once again, I ask that if you are a regular reader please tell others about this blog, please “follow” the blog and please feel free to post comments. Thanks. A picture taken by my wonderful wife. Beautiful, but eerie don’t you think? When I was young I loved the snow as it looked amazing AND it might get me out of school. Until just a couple of years ago I still liked the snow. I still think it looks great, but I have had the “old age conversion” where my body just doesn’t like cold weather, any more. From Bring a Trailer (although not from a current auction) a 1962 Studebaker GT Hawk. I love the way these cars look. In my last blog I named this car as one of those that just missed the cut to make my Ultimate Garage. Maybe next time it doesn’t miss. The car has an interesting story, but that’s a story for another post.